Complete Guide to Getting Paid for Blogging: Featured on.. I do a lot of guest posts through the web. However, my two favorite spots to guest post include SITSGirls.com and International Bloggers Association because on both of those sites I get to help fellow bloggers with the blogging tips that I do know. I love sharing my knowledge as I have it. I have been featured on the International Bloggers Association in my post the Complete Guide to Getting Paid for Blogging. Be sure to click on the image to find out more! I hope this blog post helps you out in some way. Thank you for stopping by. 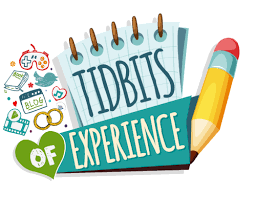 If you’re interested in gaining more blogging tips be sure to visit my Blogging Tidbits Page. I’m glad that you found it beneficial. Thank you for stopping by and commenting. I hope to see you again soon. That’s a great guide you linked to! Thanks for the info!! And thanks for co-hosting the #HomeMattersParty linkup with me! Thank you for checking it out. I hope to see you again soon. Thank you for sharing this to your Pinterest boards. I hope you gained something from my YouTube channel. Do you have any how-to requests you’d like to see?